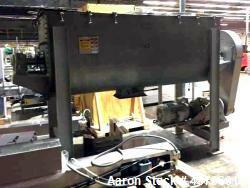 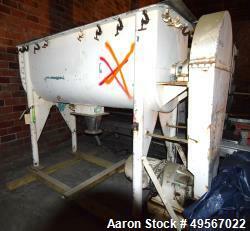 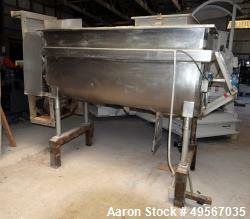 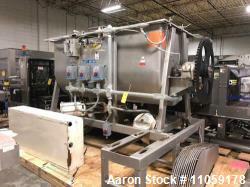 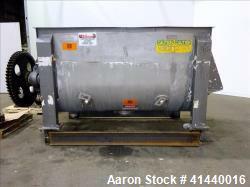 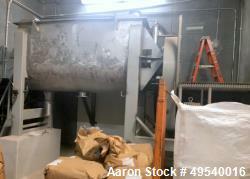 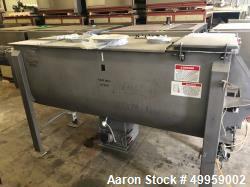 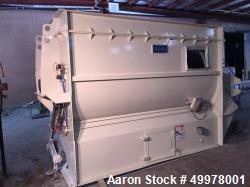 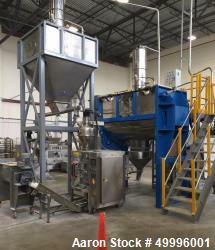 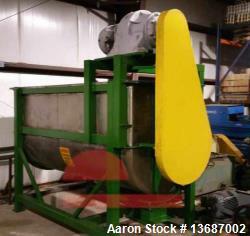 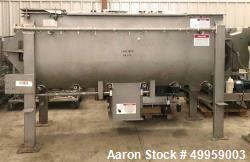 Used-Werner & Pfleiderer Ribbon Blender, stainless steel construction. 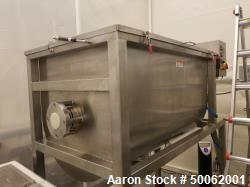 Capacity 0.08 cubic feet (2.5 liters). 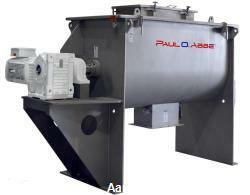 Trough sizes 5.9" x 8.2" (150 x 210 mm). 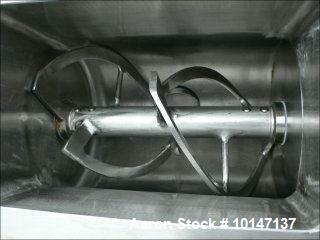 Outlet 2.1" (55 mm). 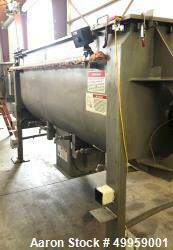 With electric heating (1000 watts). 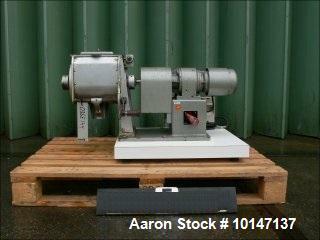 Motor 0.5 hp (0.37 kW), 220/380 Volt, 80 rpm, 50 hz.